Photo: Maxwell Chambers House, ca. 1820, 116 South Jackson Street, Salisbury, NC Listed on the National Register of Historic Places in 1972. Photograph by User:AlexiusHoratius (own work), 2011, [cc-by-3.0 (creativecommons.org/licenses/by/3.0)], via Wikimedia Commons, accessed March, 2014. 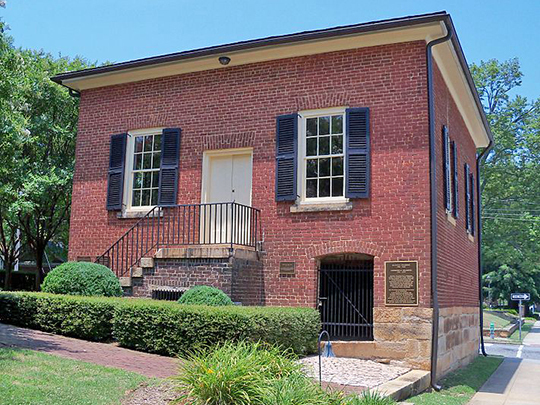 The Rowan County Courthouse is located at 210 North Main Street, Salisbury, NC 28144; phone: 704-797-3001. Established in 1753, the county was named for Matthew Rowan who was acting colonial governor of North Carolina at the time.